Ho Ho Tower slots is all set to take you to the Hong Kong city on this Christmas. The festive celebrations are clearly visible in the background by the laser beams and colourful fireworks adorning the sky The Wheels of the Sky feature will treat you with some nice payouts which will allow you to celebrate this Christmas in a bit more lively way. 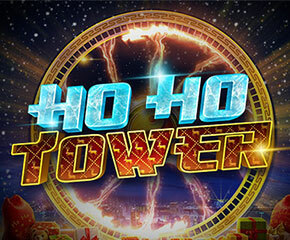 Celebrate This Christmas with Ho Ho Tower Slots! Ho Ho Tower slots is designed with 5 reels and 99 different ways to win. It gives you decent range from 10p to £50 to stake. When it comes to visuals, it is placed in Hong Kong with a background of the city skyline. Since it is Christmas, you will see plenty of laser beams and fireworks lighting up the buildings. Symbols are represented by Christmas bonsai trees and sweets, lotuses and a festive gold 7. Apart from these, the card values are the lower symbols. Ho Ho Tower logo is the mystery symbol. 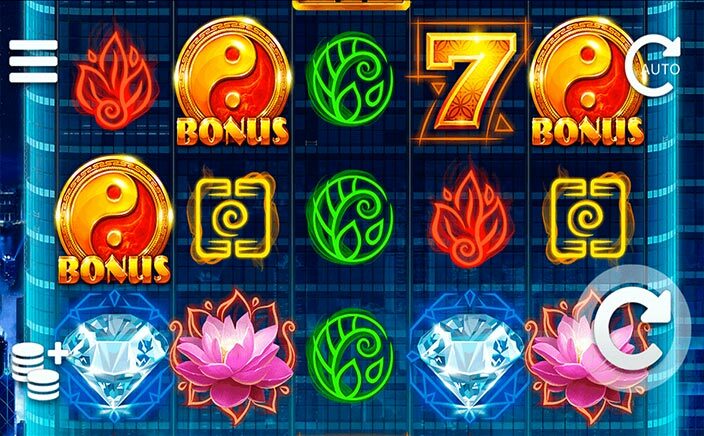 It will change into random symbols in order to help you to form some extra winning combinations. Ying Yang is the bonus symbol which will be triggering the Wheels of the Sky Bonus feature for you. Ho Ho Tower slots come with a single bonus feature which seems to be enough when you look at the payouts earned. If you will land at least three red Mystery Ying Yang scatter symbols or one or more blue Mystery Ying Yang icons then The Wheels of the Sky feature will be triggered. Landing more than 3 red symbols will add 2 additional as well. This will give you 3 wheels of the sky. The first one of them will gift you a cash bonus. If you will hit the Level up icon then it will take you to the next wheel for bigger wins. The basic aim if the game is simply to reach the final that is the 3rd wheel before all your lives run out. Achieving your goal will give you 500 times of your total stake in addition to the payouts you will win from the first two wheels. Ho Ho Tower slots seem to be a medium to high variance game. The maximum winning potential is about 1,530 times of your total stake. The slots game is loved basically for its higher payouts which offer some great wins. Hence, it sees to be a perfect slot game to be played this festive season.